Here in the UK approximately 1 in 100 people suffer with Coeliac Disease, however, due to the fact it is commonly misdiagnosed it is believed that an estimated half a million people are living with undiagnosed Coeliacs Disease every day – something that this campaign is aiming to change. 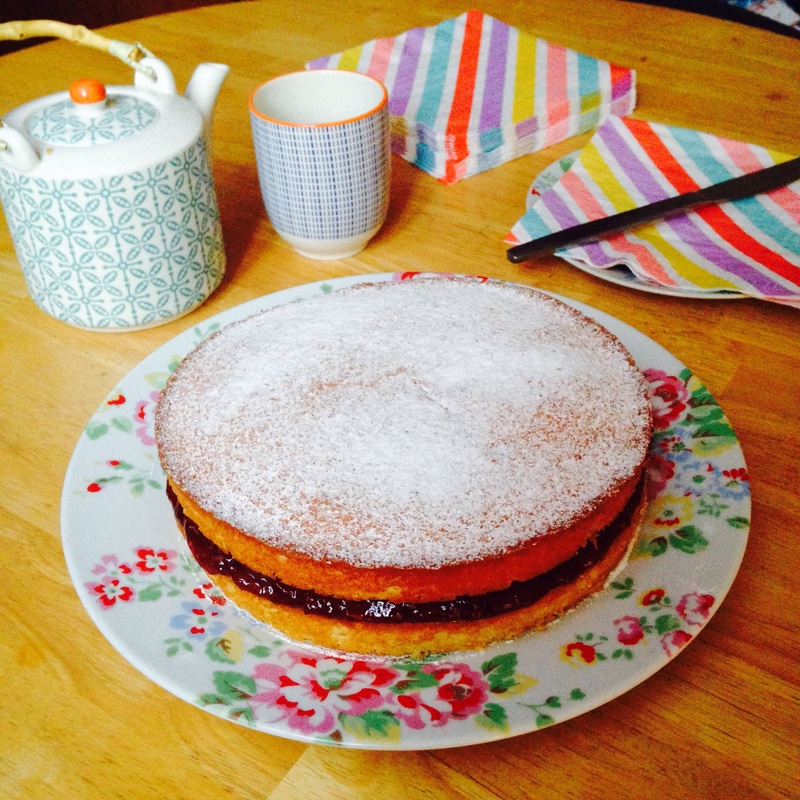 To help raise awareness of this fantastic campaign, this week I will be posting very simple Gluten Free Recipes starting with my Victoria Sandwich Recipe. 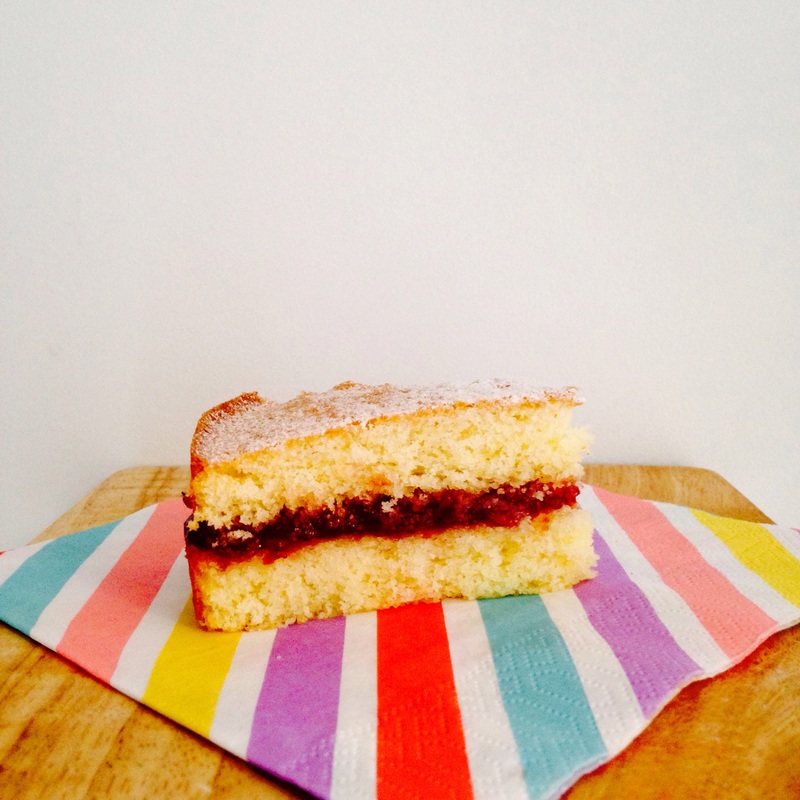 Victoria Sandwich is one of those really classic bakes. This week I will be all about those classic favourites that people don’t want to miss out on just because they are on a Gluten Free diet. I also hope these recipes will inspire any newly diagnosed Coeliacs to get baking! 1) Preheat the oven to 180 degrees C/160 degrees C Fan Oven/Gas Mark 4. 2) Grease and line two sandwich cake tins. 3) In large bowl, sift together the flour and baking powder. 4) In a separate bowl, cream together the butter and sugar with a wooden spoon until light and fluffy. 5) Add the eggs one at a time along with a tablespoon of flour to stop the cake mixture from splitting – make sure each egg is fully combined before adding the next one. 6) Fold in the remaining flour, milk and vanilla extract until all the ingredients are fully combined. 7) Divide the cake mixture between the two sandwich tins and smooth it to the edges using a palate knife. 8) Gently tap the tins on the work surface to get rid of any air bubbles. Bake for 15 minutes or until the cake is golden on top – the cake is ready when it is firm to touch. 9) Turn out the cakes onto a wire rack to cool. 10) To assemble the cake: place one of the cakes onto a serving plate and cover it with a thick layer of jam. Place the second piece on top then dust with icing sugar for a lovely finishing touch! Please check out www.coeliac.org.uk to see how you can get involved with Coeliac Awareness week or share this recipe with your friends to help to spread the word. You can also keep up to date with my Gluten Free adventures by following me on Instagram or on Facebook.